Psalm 25:1-5 – O LORD, I give my life to you. I trust in you, my God! Do not let me be disgraced, or let my enemies rejoice in my defeat. No one who trusts in you will ever be disgraced, but disgrace comes to those who try to deceive others. Show me the right path, O LORD; point out the road for me to follow. Lead me by your truth and teach me, for you are the God who saves me. All day long I put my hope in you. This Psalm echoes the sentiment of all hearts who long for God and know the deep dark abyss of trouble. I appreciate that in its instruction to us, it begins with what we should always begin with; that is, giving ourselves to God. 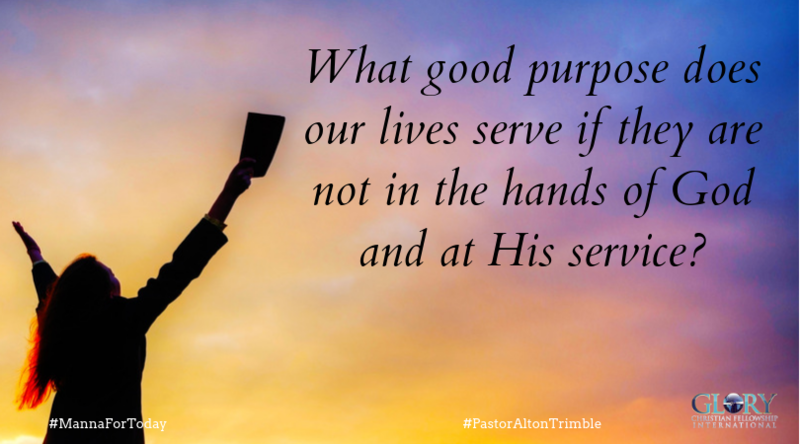 What good purpose does our lives serve if they are not in the hands of God and at His service? 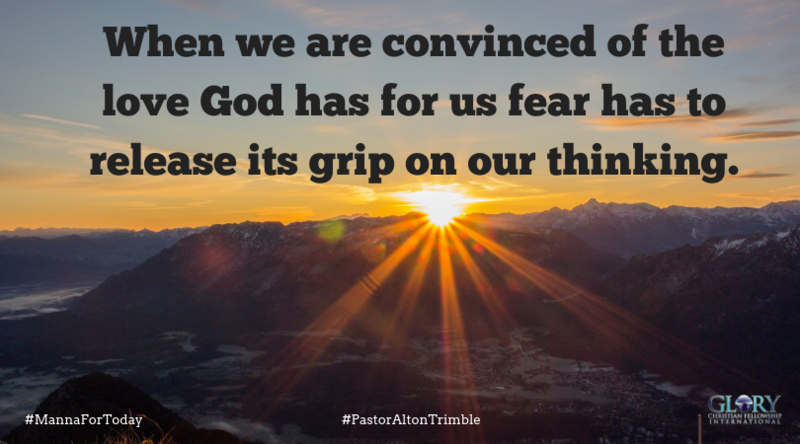 Psalm 25:2 reveals another truth; we will not give our lives to God if we do not trust Him. We have all felt the sting of disgrace and hear the cheers of some at our own peril. 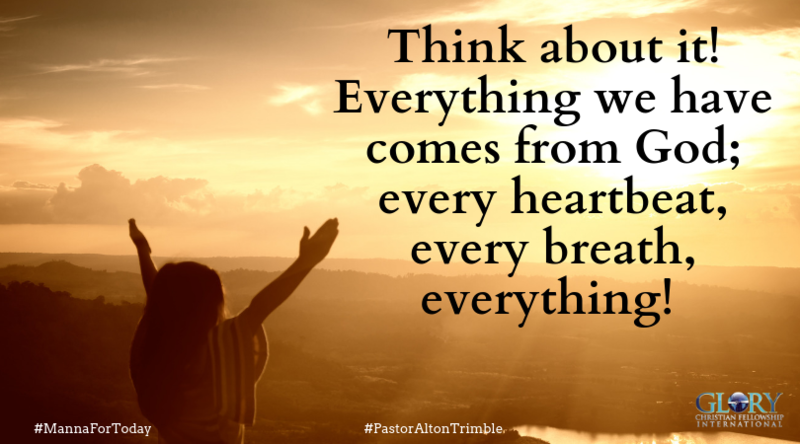 Yet Psalm 25:3 suggests that there is a sense in which our trust in our God elevates us above the possibility of disgrace and that the deceitful among us are the ones who will experience the same. Psalm 25:4-5 shows us how to go forward in treacherous times. I need God to direct my steps to the “right path.” He alone can tell me which decision I should make and what position I should take. His truth is my leader, therefore, I surrender to it. He is my master instructor and the horn of my salvation. That is all I need in every detail of my life. Finally, He is the only reason I have an expectation of any good in my life. My constant friend is He; my refuge from what troubles me; my on time God! 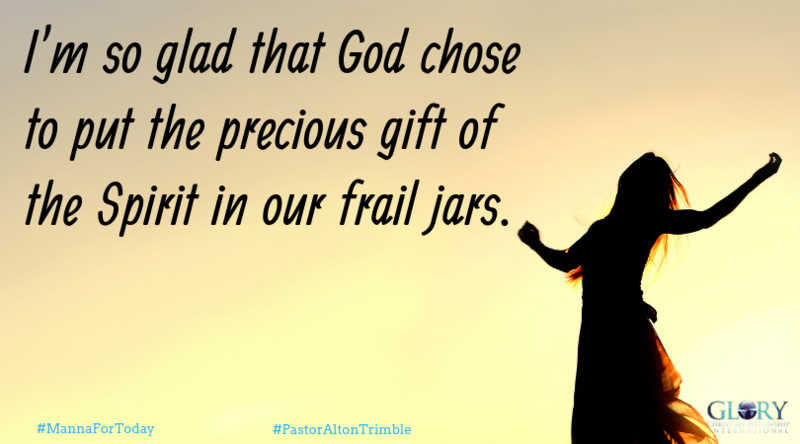 I’m so glad that God chose to put the precious gift of the Spirit in our frail jars. It serves as a constant reminder of who He is and who we are not. The power is His and the victory is His, yet in ‘His-God-Like’ way, He uses those tools to enable us. When we are afflicted in so many ways, crushed by life’s circumstances, confused, threatened by despair, wrongly mistreated or even struck down, in us is a superior response of God that pushes back to the end that, what should have or could have taken us out is unable to and we rise! Tap into God’s glory today, my friend. Rise above whatever may be confronting you, speak those words inspired by none other than Him, “I will rise,” then do it. Get up, stand up and go forward in Him. I Peter 5:10 – And the God of all grace, who called you to his eternal glory in Christ, after you have suffered a little while, will himself restore you and make you strong, firm and steadfast. 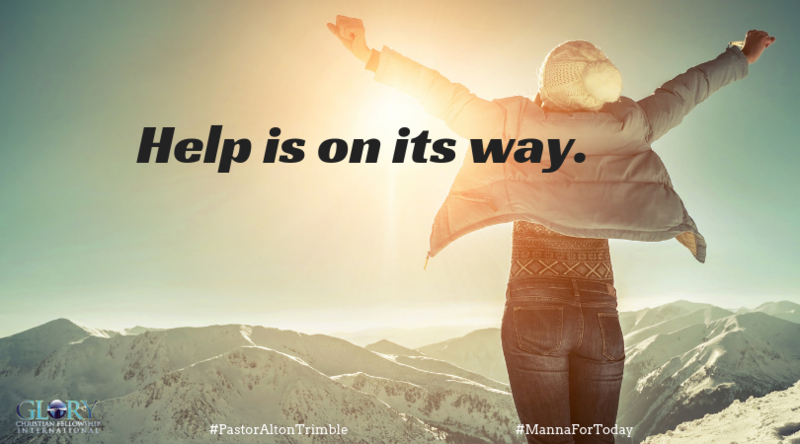 My friend, if you are going through a difficult patch right now, let me encourage you; “it won’t be long.” Help is on its way. Soon you’ll experience God’s sweet restoration, His sustainable support and His incredible strength as He places you on the foundation He has prepared for you. Galatians 6:9 – So let’s not get tired of doing what is good. At just the right time we will reap a harvest of blessing if we don’t give up. Two months later, she tried again and the same fog set in as before but this time she succeeded. She said that she kept a mental image of the shoreline in her mind while she swam. She later successfully swam the Catalina Channel two additional times as well as other amazing swimming feats prior to her Catalina swims and after. What fog has set in on your life that blurs the vision of your goals or objectives? 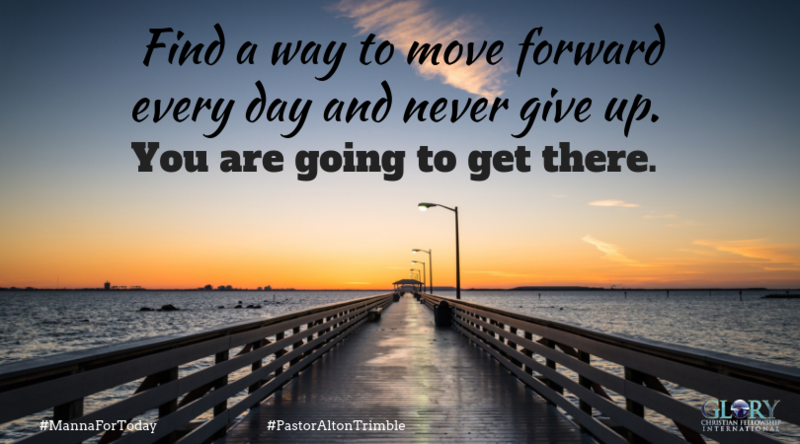 Let me encourage you; you’re “too close to quit.” Find a way to move forward every day and never give up. You are going to get there. 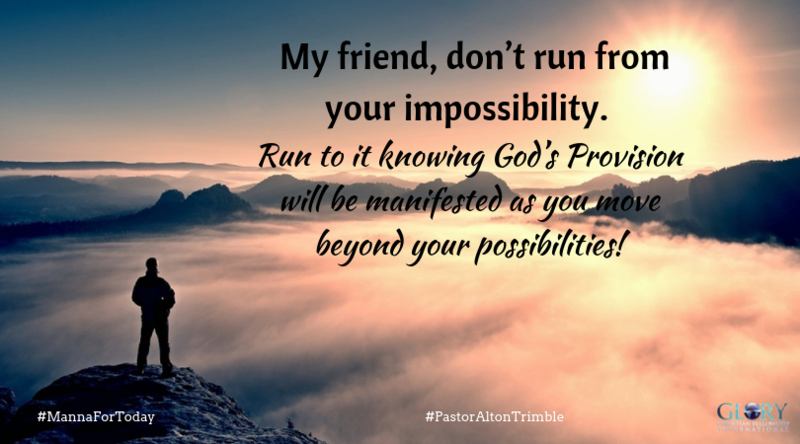 Get a vision of your goal and keep that in mind especially in the difficult times.